Hair loss can be devastating to a woman's self-esteem. And according to the American Hair Loss Association, women make up forty percent of American hair loss sufferers. So if you, like me, are experiencing hair thinning, you're probably wondering what the heck you can do to re-grow your hair? 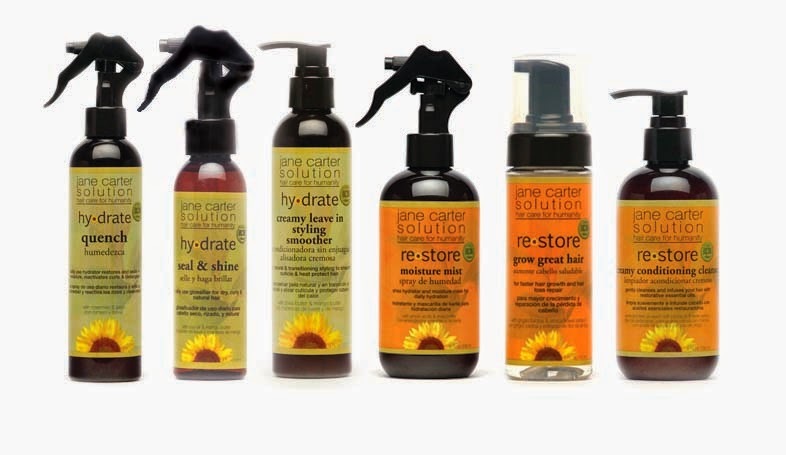 So I asked Jane Carter (a Maya Rudolph doppelganger), founder of Jane Carter Solution products, for a few tips. Everything She Wants: What motivated you to start your own product line? Jane Carter: I became allergic to products that were available in the market that we used in my salon. There were no products available in the market that I could use on all my clients. I'm a colorist and my clients included all hair types and textures. ESW: What is the best way to keep natural hair for women of color healthy? JC: Scalp care is vital to healthy hair and some of the most important factors are shampooing and deep conditioning often. But if that tends to be drying, then the alternative option is to co-wash. I also recommend daily hydration with a water-based product. Mist your hair daily with Moisture Mist, Quench or Revitalizing Leave In and seal in the moisture with Nourish & Shine or Hair Nourishing Serum. Alternatively, you could use one of our cream-based moisturizers (Hair Nourishing Cream or Hydrate Creamy Leave In Styling Smoother) that contain both water and oil. ESW: If you have thinning hair, is it really possible to "re-grow" your hair? And if so, how? JC: It depends on the reason why your hair is thinning. Thinning hair could be hormonal, or as a result of stress. Other factors include postpartum hair loss, as a result of having surgery, or alopecia. If you can address why the hair is thinning, then you have a greater chance of finding the remedy and re-growing the hair. One of the things Grow Great Hair does is to lengthen the Anagen or growth cycle stage of your hair. The longer your hair stays in the Anagen stage, the stronger the hair is. And it allows for better hair anchoring so that there is less hair loss. Grow Great Hair also has a DHT blocker. DHT (Dihydrotestosterone) is a derivative of testosterone, it sends a signal to the papilla where your hair is anchored to grow slowly or to stop growing. Scalp Renew is another great product to use for thinning hair because it cleanses the follicle of DHT or medication that may build up in the follicle and cause hair loss or thinning.